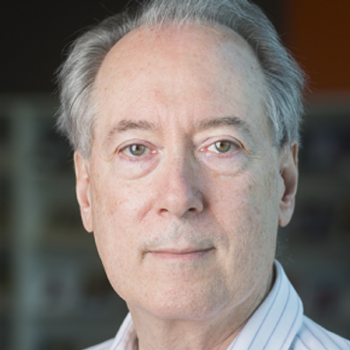 Dan Gillmor, an internationally recognized author and leader in new media and citizen-based journalism, is the founding director of the Knight Center for Digital Media Entrepreneurship and the Kauffman Professor of Digital Media Entrepreneurship. After reporting for newspapers in Vermont, Kansas City, and Detroit, Dan joined the San Jose Mercury News in 1994, writing a widely read column and blog that chronicled the dot-com revolution in Silicon Valley, and technologyâs wider impact on policy and society. His blog is believed to have been the first by a journalist for a mainstream journalism organization. In 2004 he published We the Media: Grassroots Journalism by the People, for the People, a book on citizen journalism that has been published in six languages. The book is widely recognized as the first to explain how the collision of journalism and technology has democratized the creation of and access to media, and why it matters. In 2005 Dan left the Mercury News to work on grass-roots media projects. He continues to write in blogs and other media, including a regular op-ed column in PR Week magazine and guest columns on the Wall Street Journalâs “All Things Digital” site. He speaks frequently at conferences and major universities around the world on media and technology topics. A member of Investigative Reporters & Editors, Dan serves on boards of directors or advisory boards for several media-related nonprofits including the California First Amendment Coalition, the Knight New Media Center at USC and UC-Berkeley, Global Voices Online and NewsTrust.